I think a tell tale sign of loving a certain concept is when you dedicate two blog posts to it. 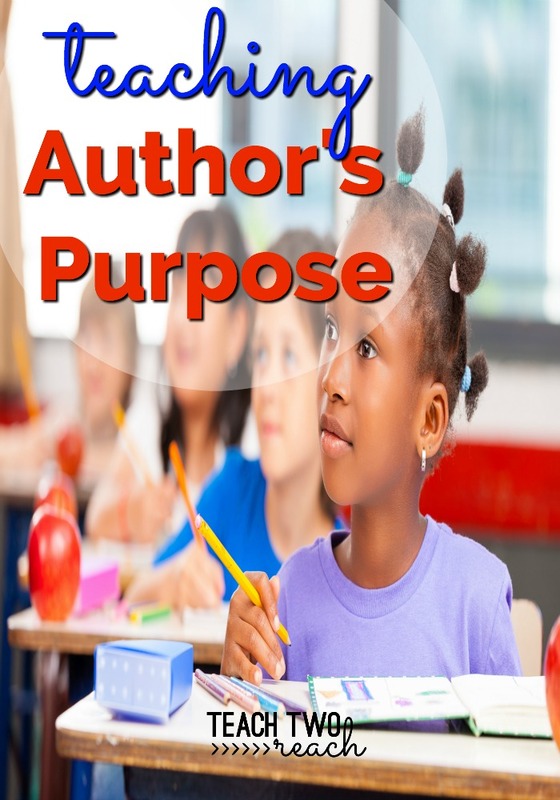 I'm here today to bring you another post on Author's Purpose. You can check out my first post here on using Scholastic flyers to teach it, which according to Pinterest, is in the popular crowd..ha! I can say that because it's one of the few pins I have that's in that crowd and I'm the proud mama bragging. 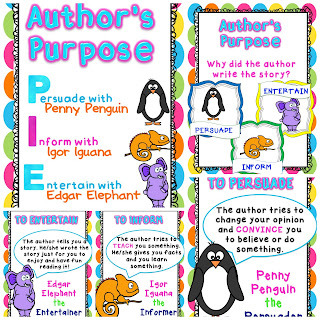 I think Author's Purpose needs several strategies and activities to really drive the point home in younger kids. A while back, I wanted to think of another engaging way to try to get the kiddos to remember what the definitions were of Persuade, Inform, and Entertain. I'll get to the P.I.E. method soon, but I also came up with these posters. 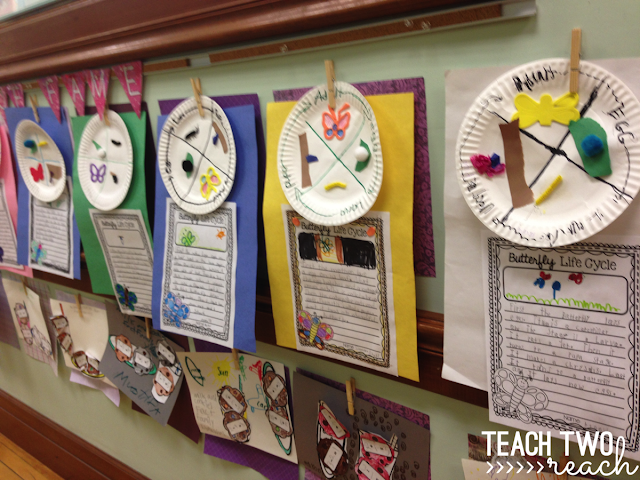 I introduced cute little characters to hook them in and help them remember what each word means. You can grab these posters for free below. You can also show various videos from Youtube. Here is one that you can use to just brush up on how you can explain the concept to the kids, OR you can use this at some point before or during the lesson. Now, let's get back to P.I.E. 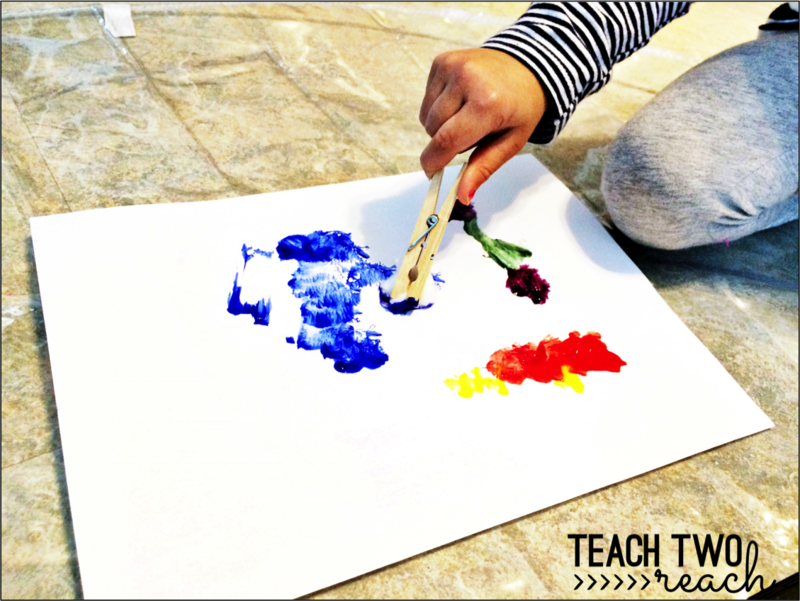 Once the kids remember what each letter stands for, we practice using this method. 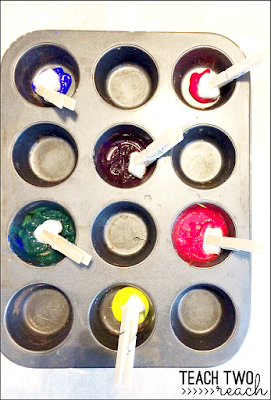 By now, they should be familiar with what each letter stands for and for a fun craft assessment, we create this PIE project. So far, we are scaffolding the learning because I'm not having then write out the definitions yet. I'm just having them glue the correct one for each word. 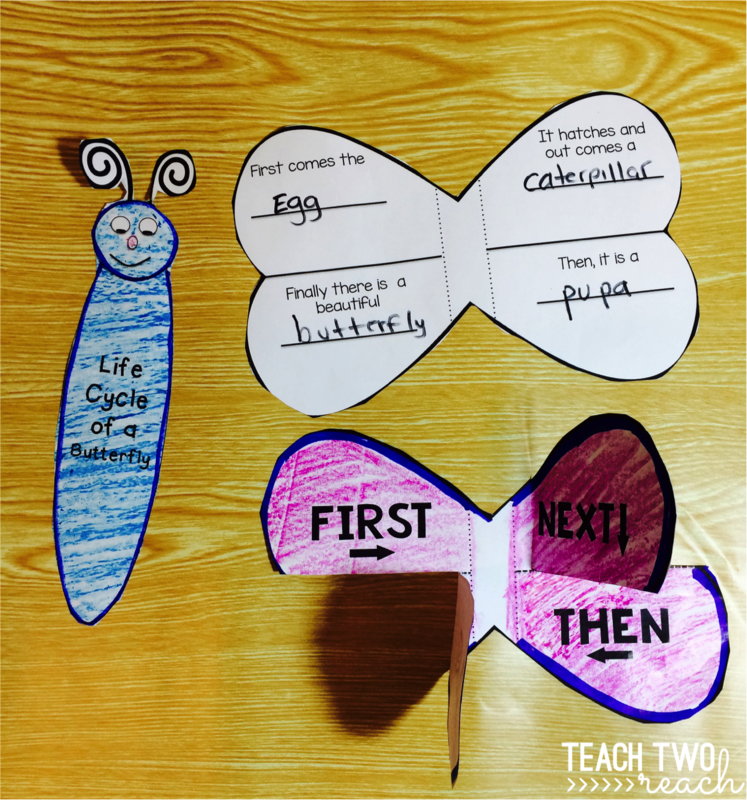 To apply their learning, we fill in this flip flap organizer. NOW, they have to write the word that each letter is associated with AND give the definition inside the flap. As a final wrap up, I like to use a real book to enhance their learning. Here, you can either let them choose their own book to read, assign a group a book and have them work together, or just use a mentor text that you read out loud to the class. 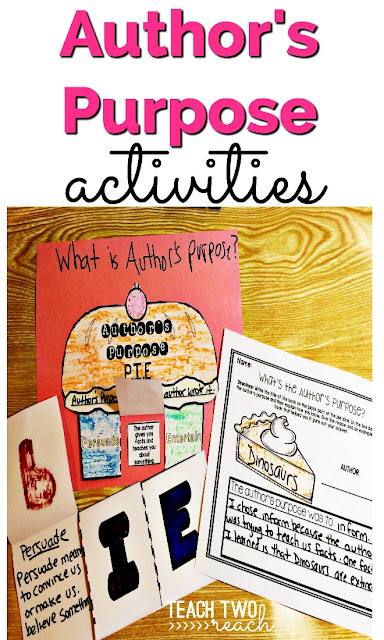 After reading the book, students have to write the title of the book on the pie slice. On the writing portion, they write the purpose. But then they also have to tell me why they think that and give at least one concrete example from the book that helped them make their decision. These activities, coupled with the Scholastic activities, help kid reinforce a sometimes difficult concept. You can take a look at the rest of the activities mentioned below. 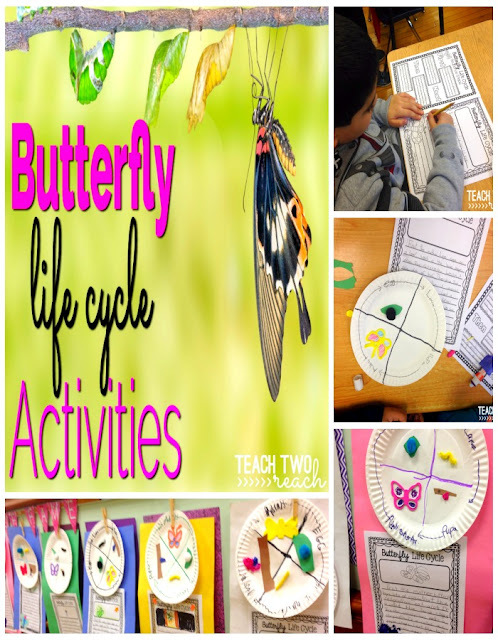 Teaching about the life cycle of living things can be super interesting for students. Especially now a days when we can pull up a video clip of just about anything, seeing real life examples of animals going through their life cycle make it that much more tangible for them. 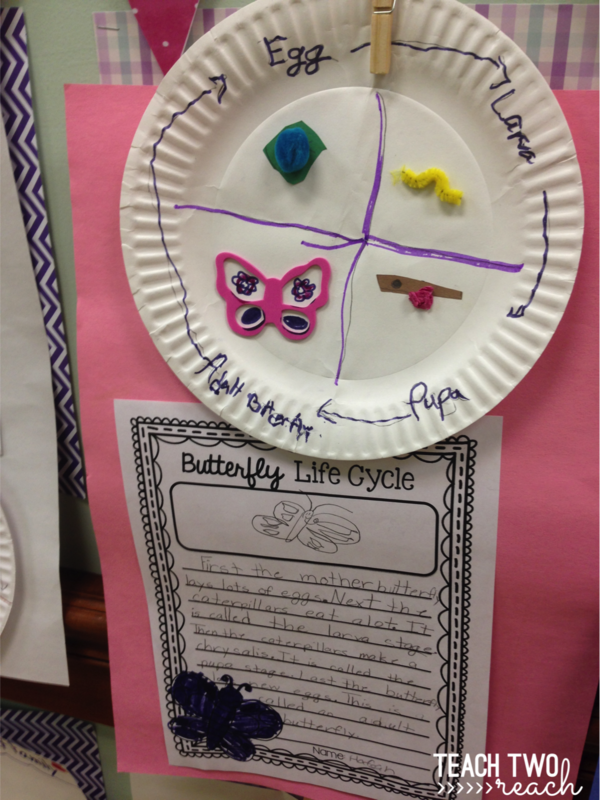 Learning about the butterfly life cycle is no exception. With a quick search on Youtube, you can pull up dozens of videos which can be shown in the classroom. 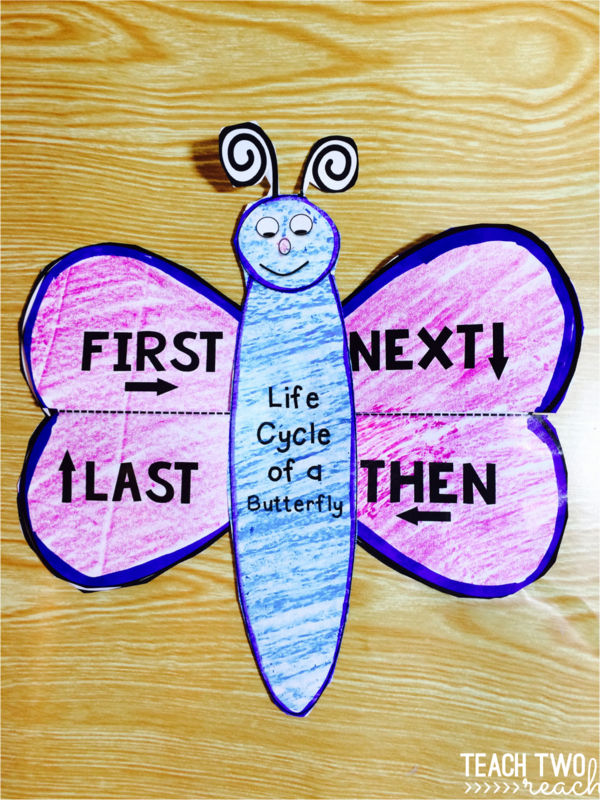 Also, the life cycle of the butterfly has four major steps, and they are so drastically different from one another, that actually seeing that metamorphosis happen is so intriguing. When I start my butterfly life cycle lessons, I spread it out over 3-5 days, depending on the class, because it is that darn interesting! I mean, sure I can teach them them the four stages super fast and have them memorize it and spit it back out for me, but that's not the point. I like to start off my lesson with some videos. Below are links to two videos I show in my class. The first one is a cartoon version that talks through the steps. But the second one is the best. 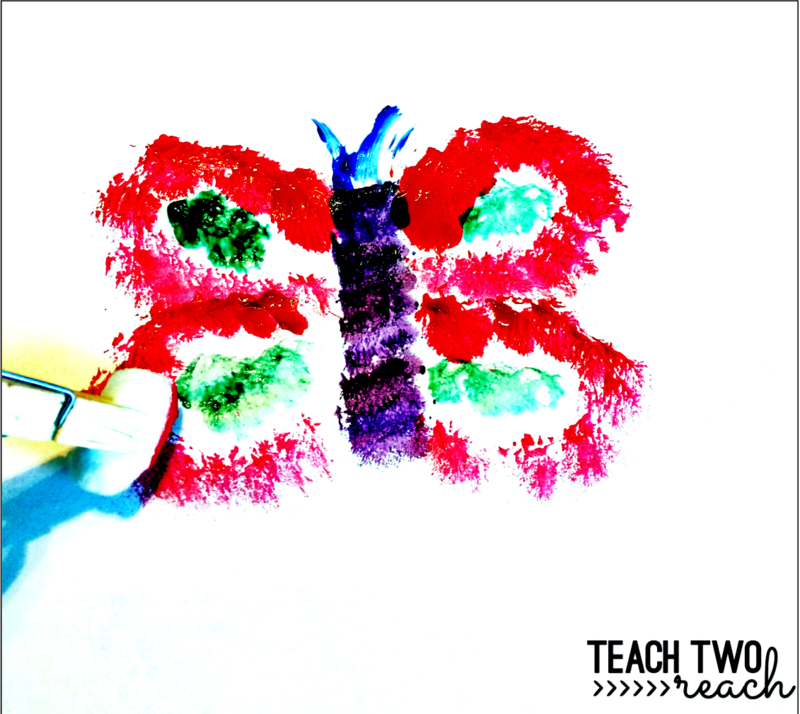 It is a time lapse video of a real transformation happening, and it is mesmerizing for students. 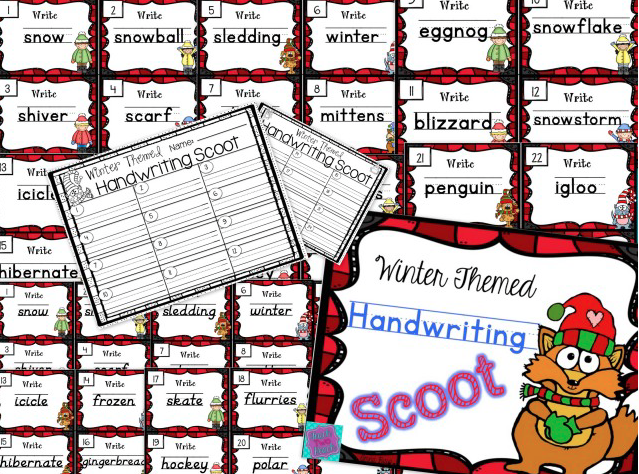 Now, depending on the grade level of your students, you can teach them some different vocabulary. For young learners, saying the stages as egg, caterpillar, pupa, and butterfly could suffice. 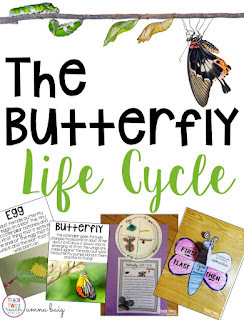 You could add in the stage names - egg, larvae, chrysalis, and adult butterfly. I like to show real pictures of each stage and the posters hanging on the board or somewhere accessible. I pair them up and give them them pictures of the four stages to put into order. They have to talk to each other and say the name of each stage and what they remembering happening in each step. 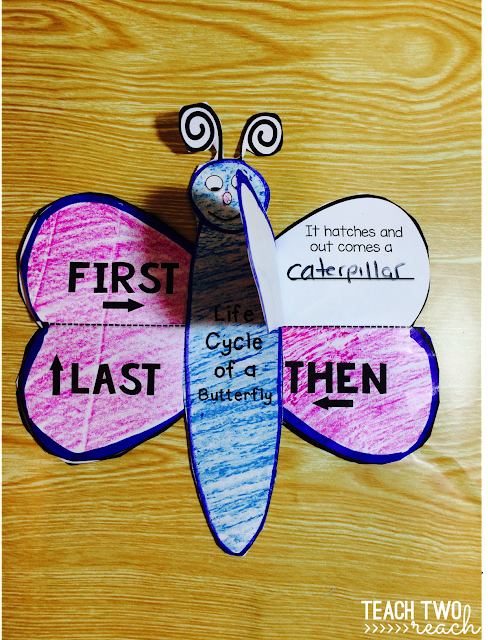 The first day's lesson ends with students completing a cut/paste activity sequencing the steps (which I'm giving as a freebie, just click on the worksheet picture). 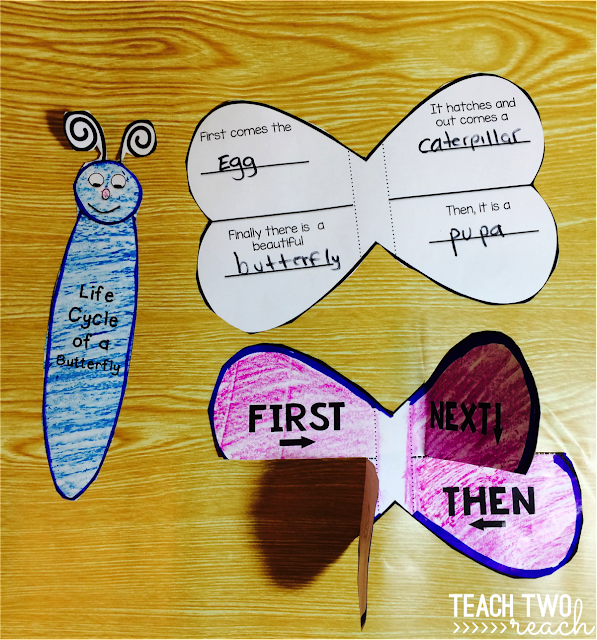 The next day, we do the butterfly flap craft. They write the stage name in order on the bottom of the flap. Combining an assessment with a project- can't get better than that. It's like hiding broccoli inside a cupcake..they'll never know! 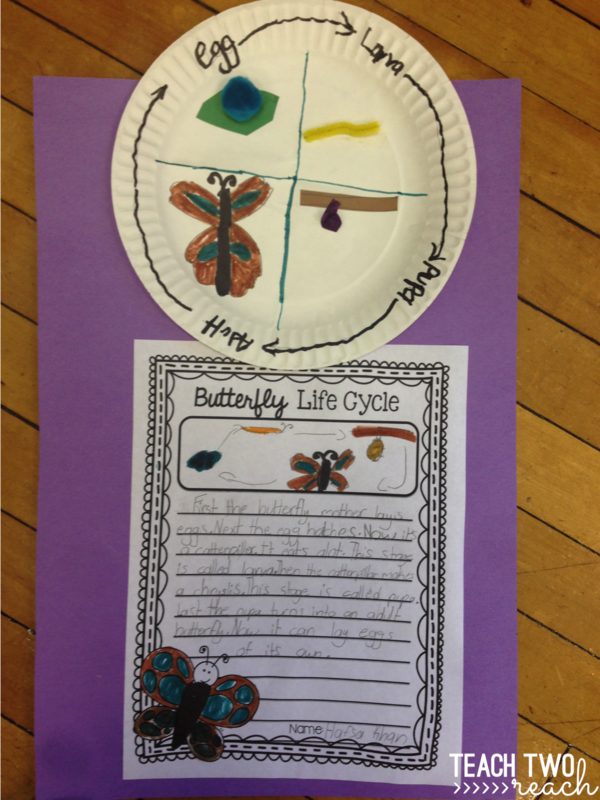 On the following day, after reviewing, we start on our butterfly life cycle writing and project. 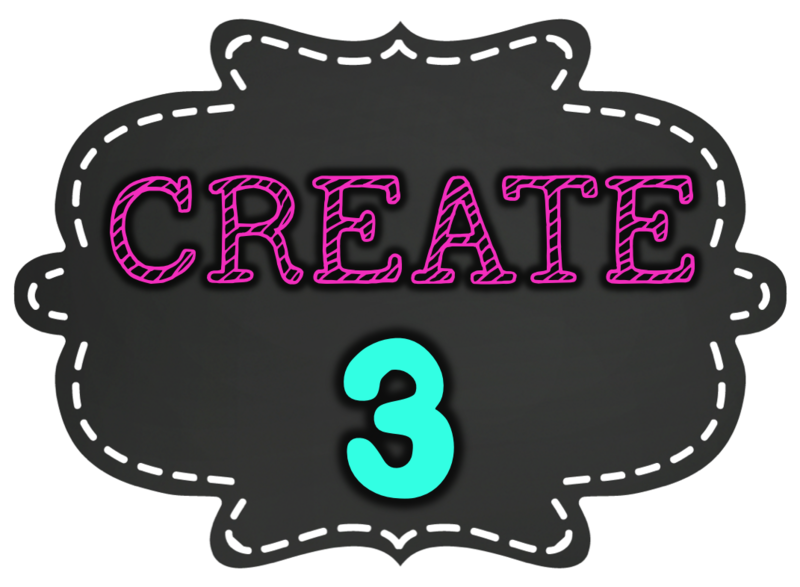 This takes place over a couple of days but I like to integrate it into my ELA writing block as well. 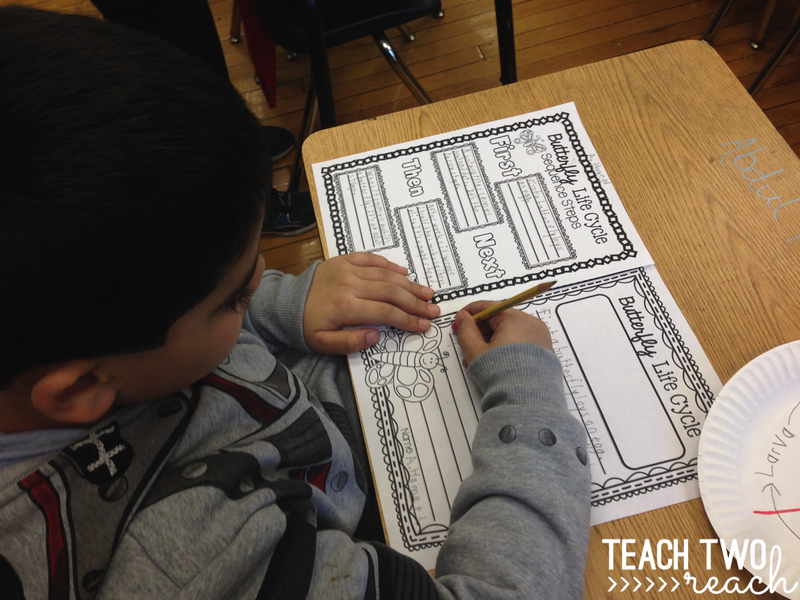 They use a graphic organizer to write down what happens in each step and draw a small picture. Then, they write their rough draft, edit it with peers and with me and start writing their final copy in paragraph form. For the completion of this project, we take a paper plate and divide it into quarters. They write down the name of each stage in the sections of the paper plate and draw arrows going around to show the cycle steps. Then we use random items to create each part. 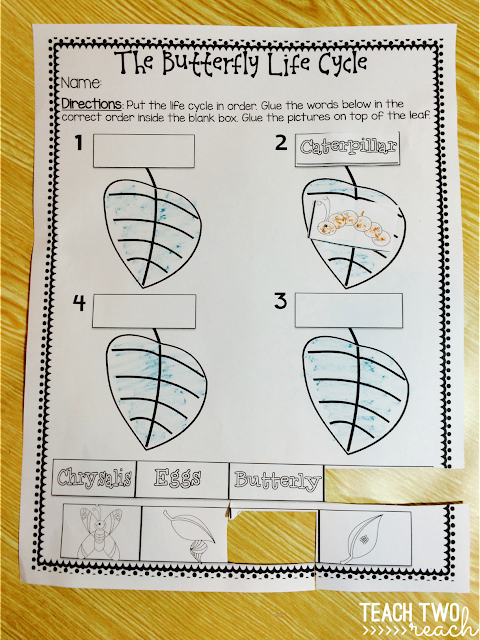 For the egg, students cut out a leaf from construction paper. On top of it they glue something small to replicate the egg. In the past I've done a small pasta shell, a rice grain, and here you see a pompom. For the caterpillar, they've used a small piece of a pipe cleaner. 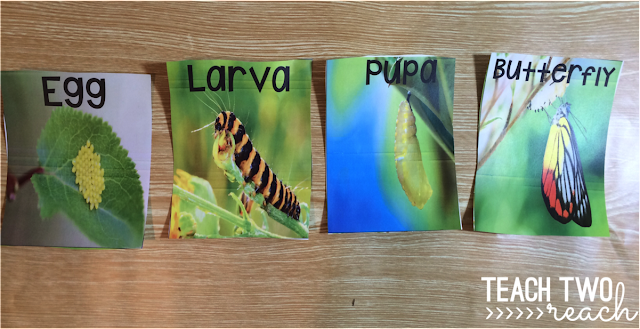 For the pupa, we take a little piece of tissue paper and crumple it up and glue it from a construction paper branch. 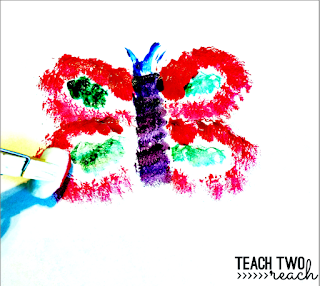 For the butterfly, either students draw their own butterfly and cut it out to glue or they use butterfly stickers. We attach the paper plate to the top of the writing and out comes a beautiful display. 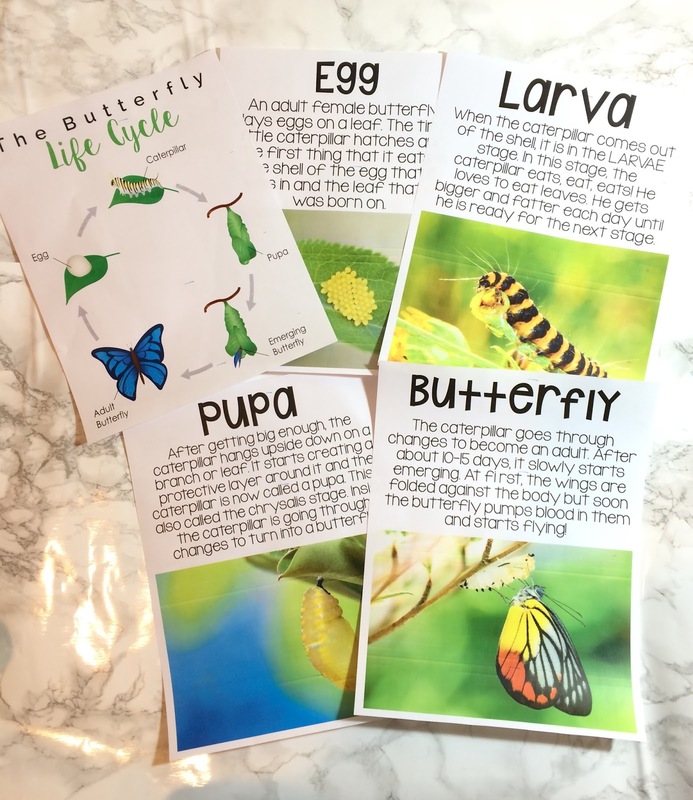 If you are interested in any of the above templates and posters, I hope you check out my Butterfly Life Cycle mini unit! 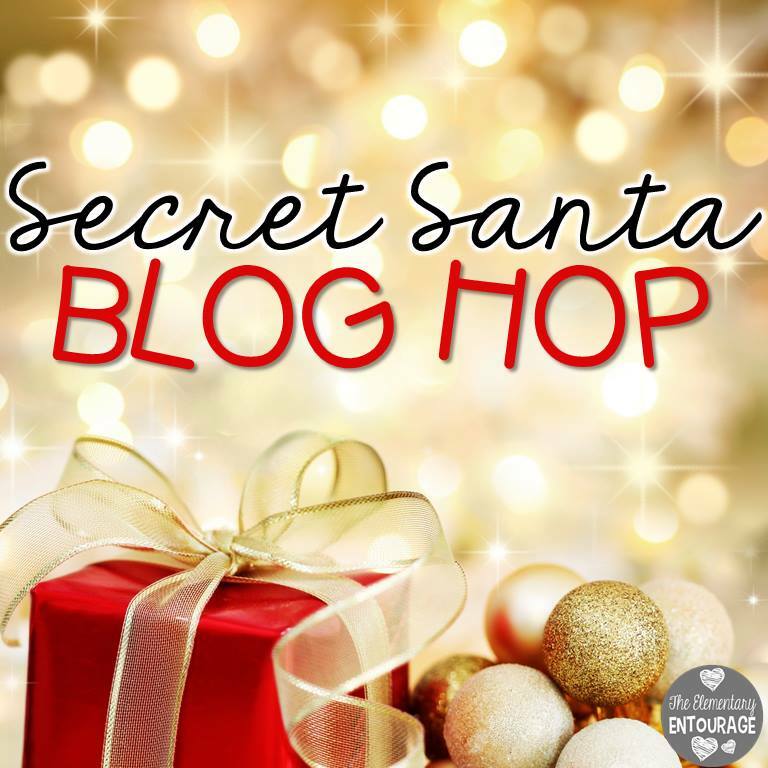 Now make sure to check out the other great posts below! Everyone who knows me in my school, knows that I am the photo copy QUEEN. 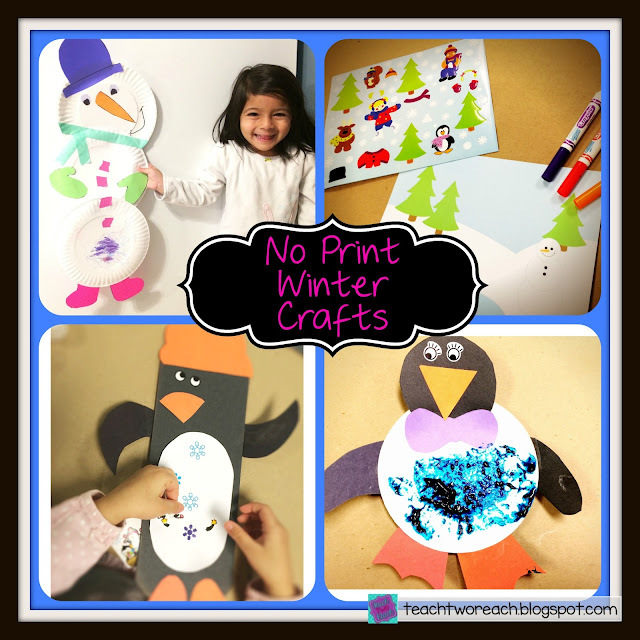 I'm not thrilled with all the trees I most likely killed.. :( but honestly, there are just too many amazing resources out there to not print and do with the kiddos! 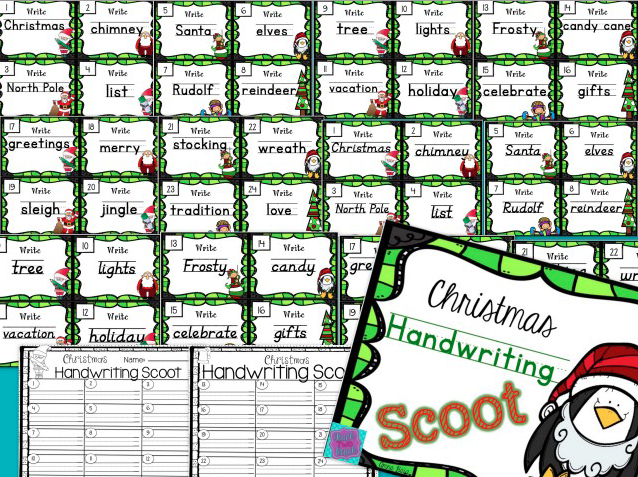 So when I found out that this year, the new principal created a sort of copying ban - that you could only tell one lady to do your copying and that there was a limit for the number of copies, I just about keeled over. 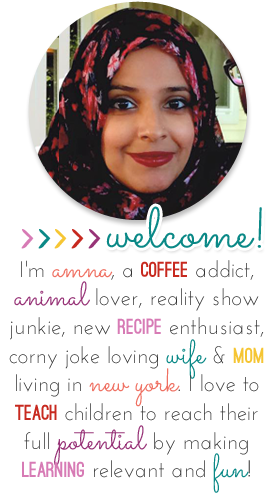 Thankfully I took the year off because of my new baby, and I have some time to adjust to this new rule! Anyway, that's why I LOVE this post. 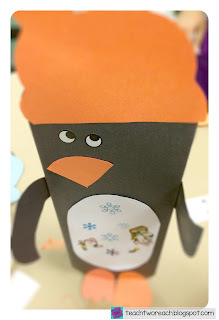 I did a few crafts with my 3 1/2 year old that could fit in wonderfully for a lower elementary class! The best part - there was absolutely no copying or printing required. All you have to do is staple (glue doesn't hold paper plates together really well), three paper plates together. I cut out a little hat, mittens, boots, eyes, and a nose for her out of colored paper. She glued everything on and then I gave her some little scraps to create the buttons. The scarf is made from those thin washi tape pieces! I knew there was a reason I got those rolls! If you are doing this in your classroom, you could cut out a few templates of the snowman materials on cardstock and have your students trace them onto paper and cut out. 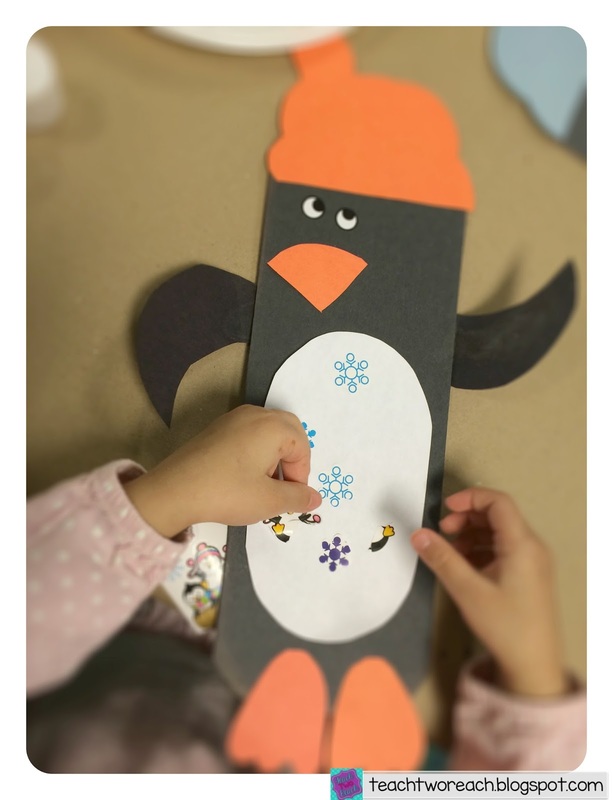 You could even use Googly eyes instead of making your own. 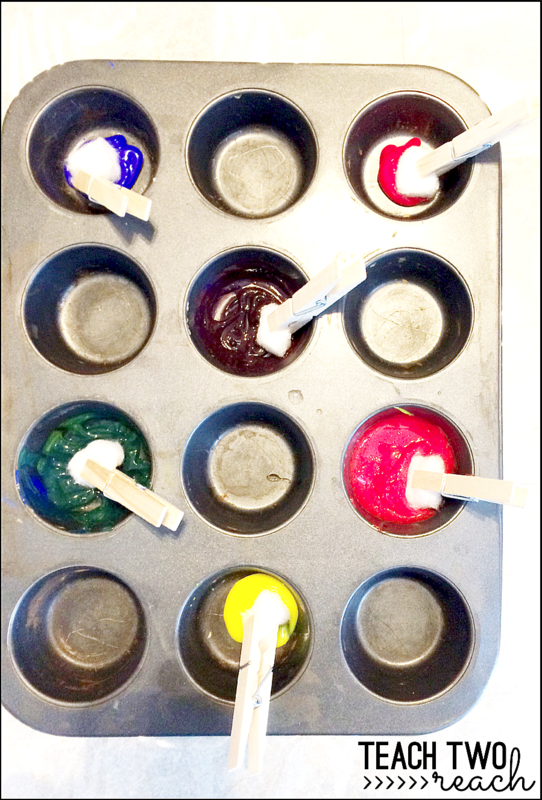 So this activity actually requires no prep besides ordering it off Oriental Trading. 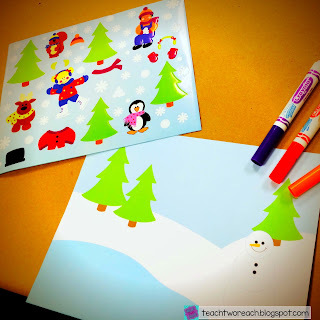 I think these premade winter scenes with stickers are just adorable. It could be the perfect set up for a writing activity. 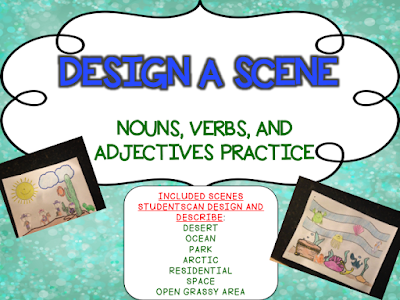 Students design the scene first, and then they can do a narrative story all about what they think is happening in the picture. You can find the sticker scene HERE. 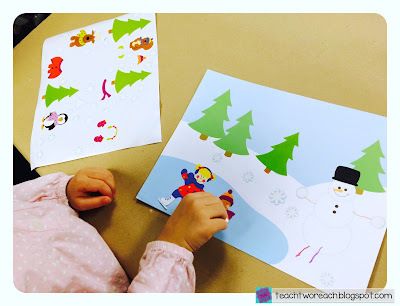 Also, if you are interested in the concept of designing your own scenes and having kids write about them, I have this product here where you can give them the background template and a bunch of pictures that they can cut out and glue how they want. They can use the accompanying writing pages to draft and write their final copies. Finally, here are ideas for two penguin crafts. 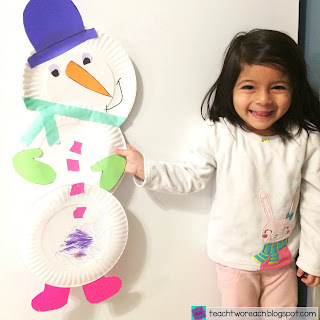 You'll need construction paper, a paper plate, random stickers, some googly eyes or eye stickers (you can find them HERE), glue, and scissors. You'll have to do a little prep in advance by either cutting out the pieces students need to use, or just creating templates on card stock and students can trace their own pieces. 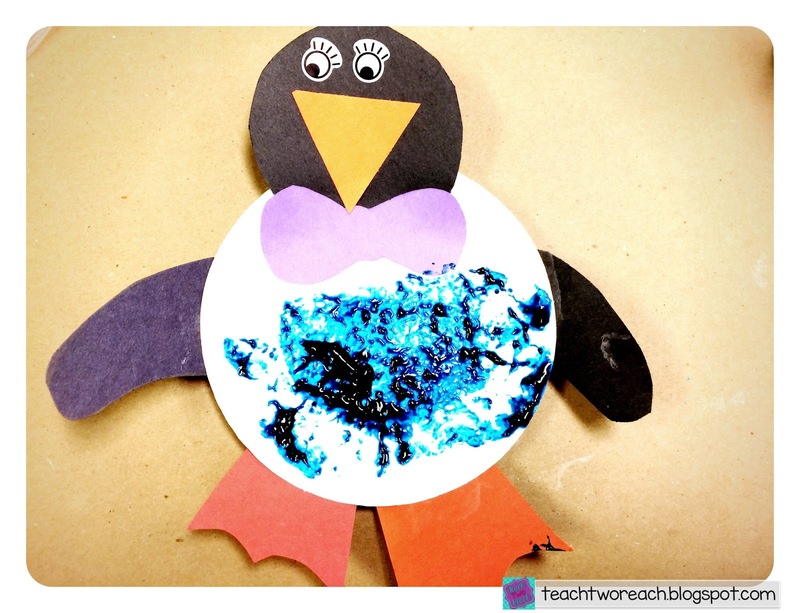 The paper plate penguin is super simple. 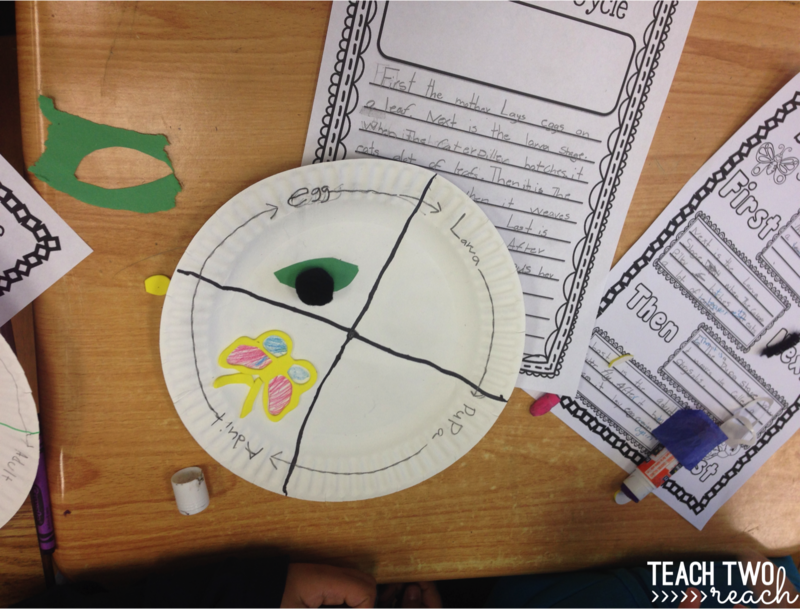 Students cut and glue two wings, two feet, a beak, bow, and eyes. 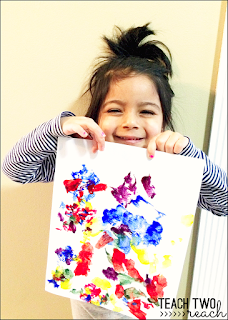 Now, comes the fun part - the painting! Here is a unique idea I found - find an old photo film black canister or something small and round like that. Get some bubble tape and attach it onto the canister with a rubber band. 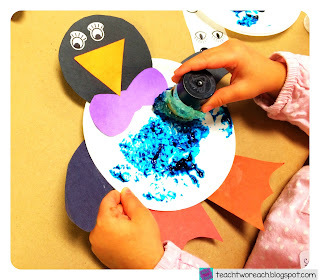 Have students dip the bubble wrap into the paint, (glitter paint is used here and you can take a look at it HERE), but really you can use any paint. 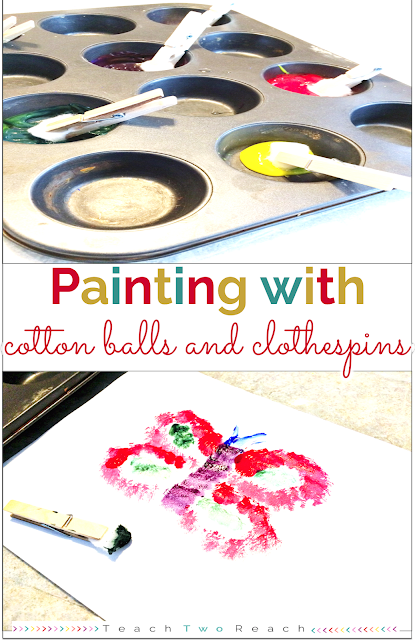 Then, students blot the paint onto the paper plate and it gives it a cool and unique effect. Afterwards, students glue on a white belly, two feet, two wings, a hat, and a nose. Then they can decorate it with different stickers. To make it stand, place it upright and open the flaps in the back until it is adjusted to stay where it is. You'll have to bend the feet up as well so they don't get in the way. So there you have it! I really enjoyed seeing my daughter do these crafts and I loved that it didn't take too many supplies either! Hope to see you soon!